Joining a community basketball league. Walking dogs for the humane society. Finding a job in a local restaurant. Building a personal support network. The types of activities someone receiving Independent Facilitation may become involved with is unlimited. Independent Facilitation is an ongoing process that supports an individual with a disability to develop a vision for their future and to take the steps necessary to work towards their dreams. It truly is a powerful tool for change. In 2015, the Ministry of Community and Social Services launched the Ontario Independent Facilitation Demonstration Project through the Ontario Independent Facilitation Network (OIFN.ca). The project will be completed by March 2017 and 1100 individuals with developmental disabilities will participate in the project. 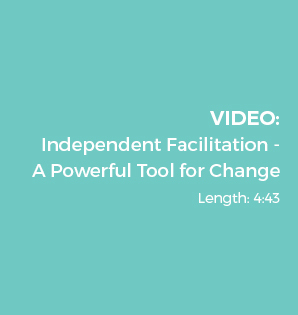 To learn more about Independent Facilitation check out this brief overview. To find a facilitator in your area go HERE.